Just Listed! Rare opportunity to own a lightly used Carbon Craft 130. 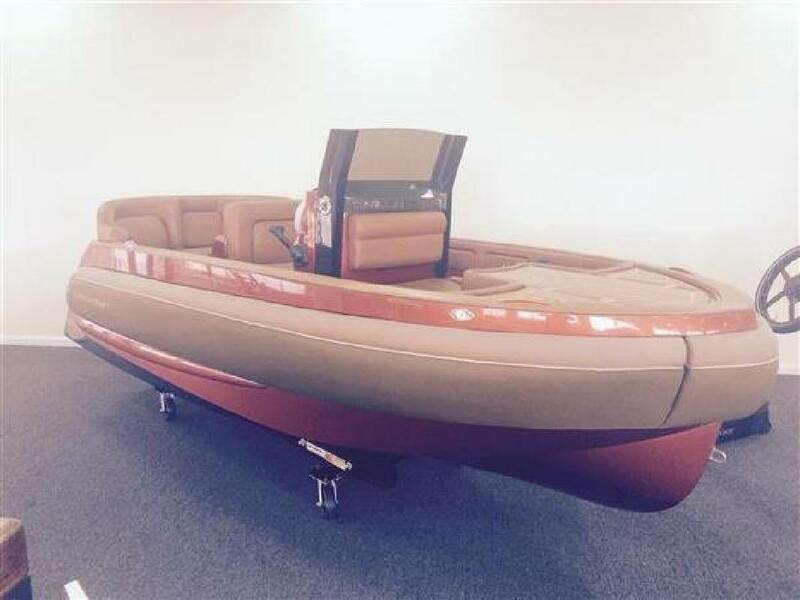 This model was built as a demo boat and loaded with every available option. This boat was Carbon Craft hull number 1 and led to the current product portfolio, including 11, 13 and 16' diesel models. A new class of yacht tender, the Carbon Craft 130 offers an unmatched level of luxury and elegance. Designed to service a 4-stateroom yacht, the Model CC130 tender accommodates 7 adults. Utralight-weight Carbon fiber construction allows for features normally found only on larger boats, while maintaining footprint and weight limits otherwise met only by inflatable tenders. Clever features such as deck ski-locker doors, integrated cooler, and fresh water shower are neatly integrated into the design. The foam collar design eliminates the need for fenders. Carbon Craft 130 can leap into action with a push of the throttle, yet offer the security of a concealed propulsion system jet tender without the danger of an exposed propeller. Easily tow a variety of water toys with multiple riders or offer exhilarating performance to wake boarders and skiers alike. Beam: 6 ft. 0 in.